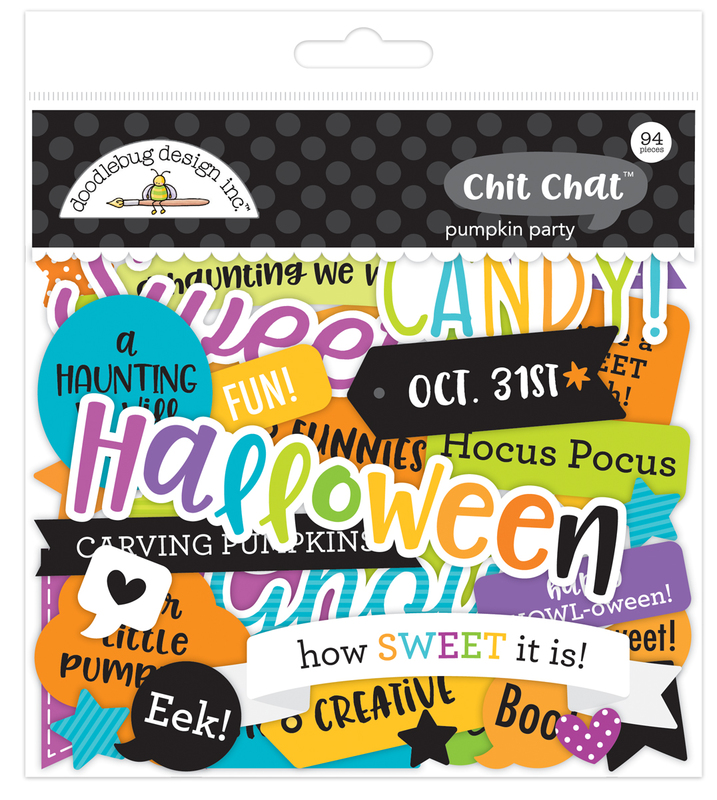 Doodlebug Design Inc Blog: Introducing ... Pumpkin Party and GIVEAWAY! 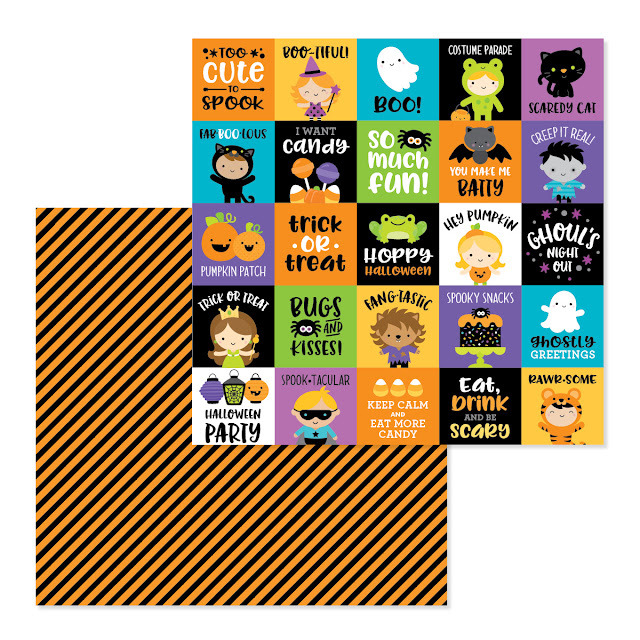 Leave a comment telling us what your favourite items are in our new Halloween collection - Pumpkin Party and you will go in the draw to win a Pumpkin Party Prize Pack. Winner announced this Friday, 27th July. I'm in love with this collection! The papers are adorable... the ghosts, spooky trees, and candy corn designs are my faves! And ALL of the collectible pins! I just love Halloween! This is a fab collection. I especially like the Jelly Clips. I love all the stickers but especially the tiny treats shape sprinkles!! Great collection. Love the printed paper, the die cut cardstock pieces and the washi tape. There is so much to love about this line! 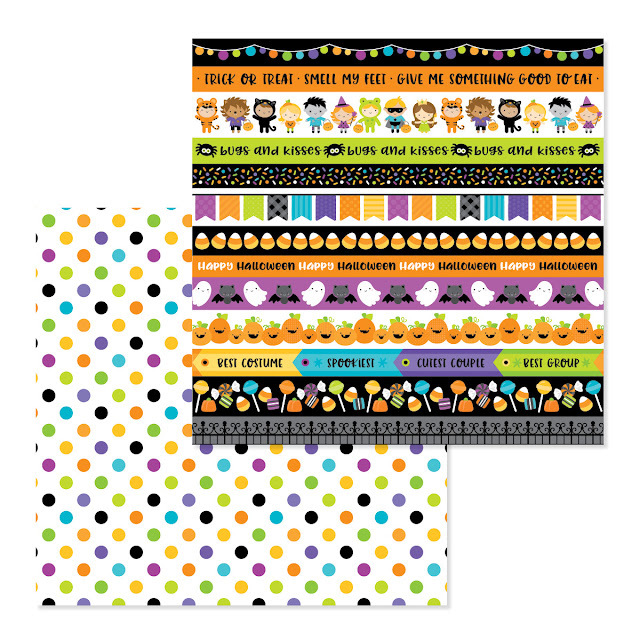 I love the midnight masquerade, Itsy Bitsy Spider, all of the stickers, die cut pieces & washi tape! But the sprinkles are my favorite!! And the EYE SEE YOU sprinkles are the best!!! Great idea! Wow the collection is divine, I love the papers and the die cuts and sprinkles and jelly clips. Ohh all is fabulous!!! I’m a sucker for Doodlebug card stock. It’s always so cute! I absolutely love the colors, eye see you shape sprinkles and the buttons. Your Halloween collections are my favorite. I LOVE the paper pads! So cute and fun! 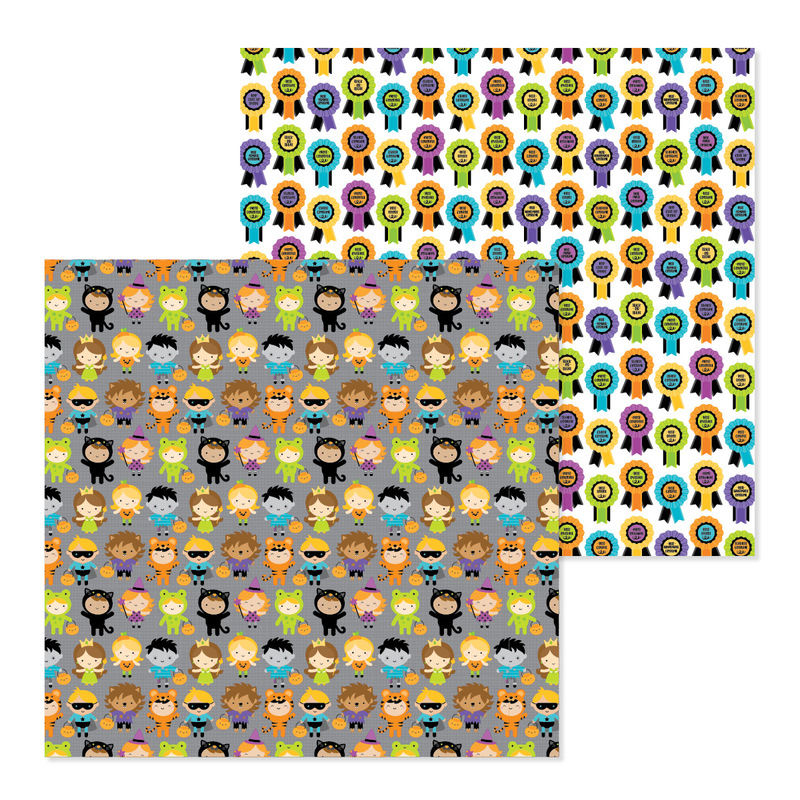 I love all the cute characters and colors of the paper collection. My favorite item has to be the black cat washi tape. I love the sprinkles! 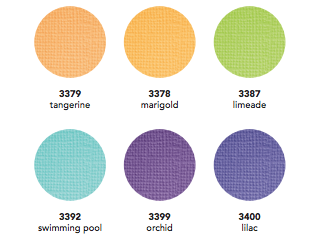 The cardstock colors are also really pretty! I also like the paperpads! I love it all, especially the washi and stickers. Oh my so much cuteness in this collection but I say that with all the collections! I love it all and can’t wait to craft with this. It’s so hard to pick just one but I would say I love the papers and die cuts are the best. Too too cute! Doodlebug you did it again! Thank you! How could anyone pick just one favorite? I guess mine would have to be the icon stickers. Doodlebug is beyond too cute! The colors! Those sprinkles, everything is too cute! (SQUEAL) I love it all! Halloween is my favorite and you do it justice. 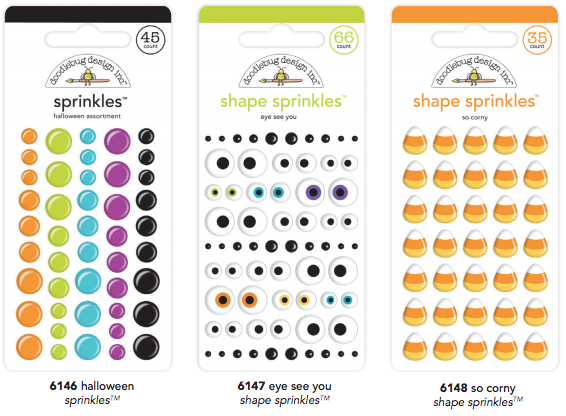 The paper and the eye see you shape sprinkles are my favorite from this collection! I love the cardboard die cuts!! I love the papers, especially the 6x6 paperpad, the smaller pattern is great for in my planner. And ofcourse the mini icon stickers! It's all awesome, but I love the black cat pin & the latern doodlepops! I love the papers and the stickers! The die cuts are adorable as well! Oh goodness...I love it all! The papers, sprinkles and washi are my favorites. This entire collection is adorable! The odds and ends die-cuts are one of my favorites! It’s all so cute!! Love the washi tape! So hard to pick just a few things! I love the patterned papers, the double sided patterned card stock esp the black and white striped, the doodle pop patterns, the mini clips, and spider cute clips! Thanks for the chance to win!! I am in love with the whoe entire collection!! I absolutely love this adorable collection. The kitty cats and jelly clips are amazing. The whole collection is wonderful - great colors and sweet icons, but I'm a total sucker for STICKERS!!! Thanks for the chance to win! I can’t pick just one, I love everything in the collection!!! Always love your Halloween line!!! So cute! I love the Doodlepop kids wearing costumes. Aaaahhh! I just love the little werewolf! Super cute! Tiny treat shape sprinkles are super cute, but it's so hard to pick just one thing because I love it all ! I love the costumes!!! Doodlebug is so cute!!!! I love this collection! My favorite item is the paper! It's the cutest collection!! I LOVE the Midnight Masquerade 12x12 and the odds and ends pack. The doodle pops are SUPER cute too, love it all!!!! 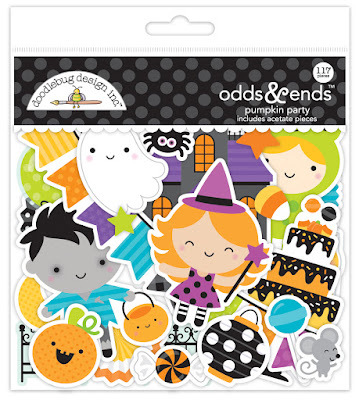 Love the whole collection, but especially the cute little trick or treaters on the paper and the cardboard stickers! Cutest costumes ever! Oh boy, so many cute things! I love the cardstock as I just love the colors. The doodle-pops are darling as well as the sprinkles and the buttons. I love it all. That werewolf is adorable. I love everything about this collection! I really enjoy having the mini icon stickers and jelly clips to use in my planner. 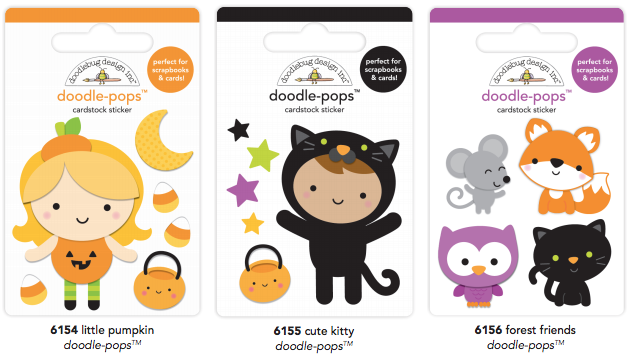 Doodlepops, odds & end, all of the cardstock, but is it fair to ask us to choose the whole line is adorable! This line is soooooooo cute. Love the doodle pops, especially the kitty!!!!! This line is soooooooo cute. Love the doodle pops, especially the kitty !!!!! It's hard to pick a favorite. I always love Halloween. I would have to pick the party lights paper and washi tape. They are super cute. I really love the die cuts. They are so fun to use in projects, and these are super cute! Can this possibly be any cuter??? I hardly EVER purchase halloween kits but this one is on my MUST HAVE list!! I love everything, but those die cuts ate adorable!!! Yea i have to say i love all of it. The papers the embellishments, the cut outs, EVERYTHING. I LOVE the sprinkles.. they are awesome. I think this will be a great addition to my collection of Halloween must haves. I’m a sucker for new pattern paper! LOVE it all!! 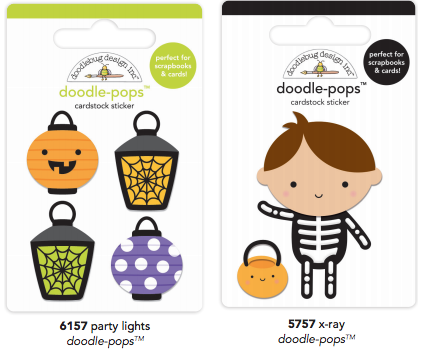 I love the whole collection, but what can I say I love anything doodlebug related..
Once again, I love your Halloween collection! It’s just perfect for documenting my littles’ Halloween. I especially love the sprinkles and die cut pieces! I really like the paper patterns. The little fancy dress charecters are adorable. The litlle clips and stickers are awesome too. Generally all of it is lovely.I'm new to scrapbooking so I haven't been adventurous with buttons .... yet. i love the whole collection! 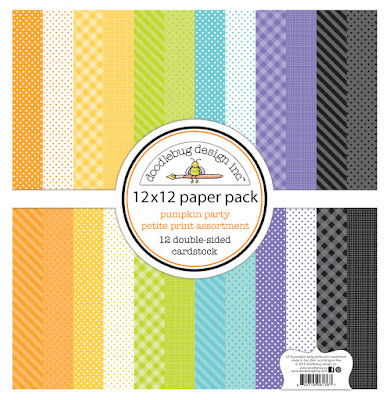 especially the papers and coordinating papers with a choice of 6 x 6 or 12 x 12 and i especially like the washi tape. 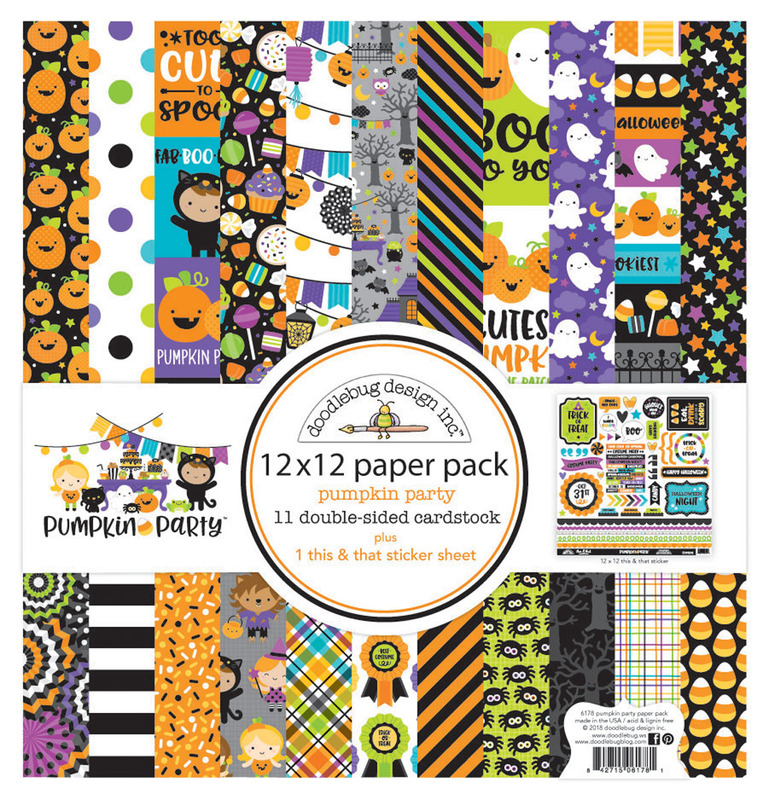 The Doodlepops - especially Punkin - and the pocket scrapbooking patterned papers! And I love that it totally matches last year's collection! Love all the cuteness to this collection. The Doodlepops and the black cat washi tape are my favorites. I love it all and can't wait to get two of everything! How can you choose when you love it ALL. Oh my. I can’t choose just one, but if I had to it would be the forest friends doodle pops! So cute!! It's all so fabulous!!! I love cats, so I'll go with the cat pin.... ok, anything with the black cat... or the cat costumed child...I just wan to collect it all!!! I LOVE IT ALL! I really LOVE the whole cardstock line! with the matching cardstock pieces! I also love the So Corny and Tiny Treats shape sprinkles! 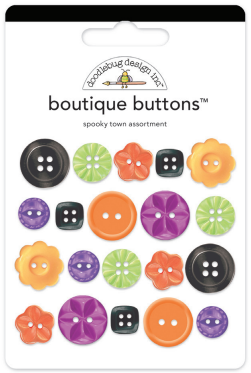 And the Tiny Boutique Buttons too!! I LOVE the black cat washi tape <3 The Party Pinwheels is so fun, too! I love to cut these out these papers and frame them for seasonal decorations. I ❤️ this collection. My favorite items are the mini icons, black cat tape, tiny treats sprinkles, cute kitty and little pumpkin doodle pops. 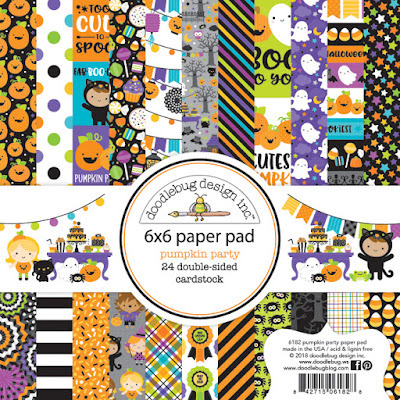 I would use this collection in my 8x8 doodlebug scrapbook and in my planner. Thanks for the chance to participate. Tiny treats. Just just adorable. Omg!! This is just too cute!! The whole collection is adorable! There isn't any part to not like it is all so awesome. I love the diecuts the sprinkles, the doodle pops and the buttons are adorable. It is so amazing!!! 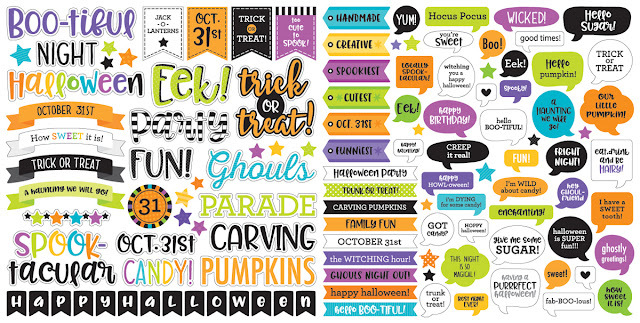 Not sure I can pick one favorite, Halloween is my favorite holiday & doodlebug is my favorite to scrap with!! I was so excited to see the newest release! As always the odds & ends as well as icon stickers will be a must have! Perfect collection, I'm in love!! It is all awesome but those silly spider sprinkles are just so unique and adorable! 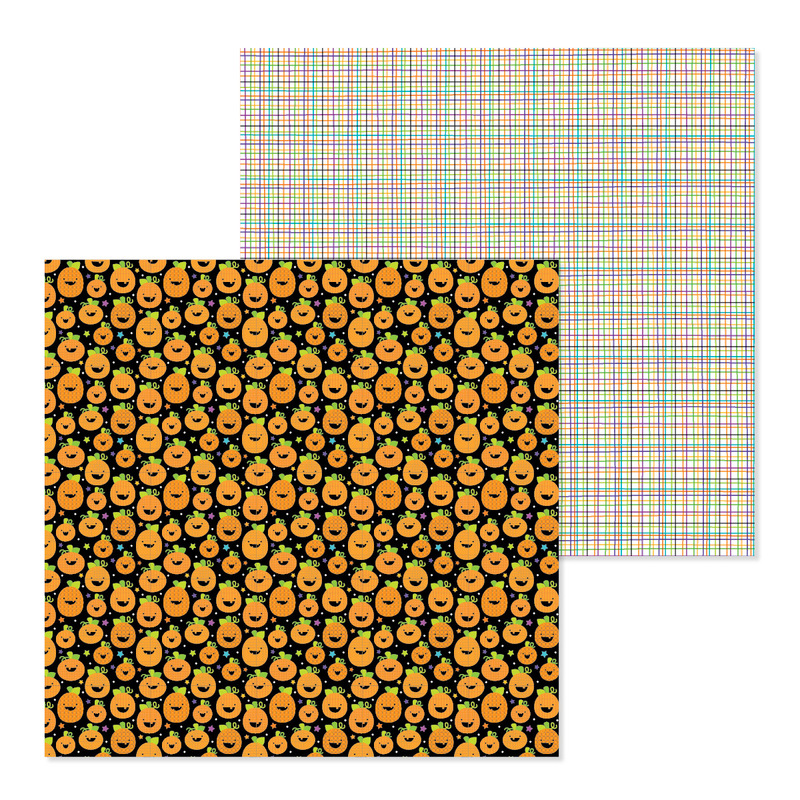 Halloween is my favorite holiday and this collection is adorable....would go so well with many of my Halloween pictures! The Doodle Pops are my favorites. What child wouldn't love to receive a Halloween card made with any of them? I LOVE the entire collection! I love this collection! Anything with black cats are my favs! The patterned paper pack! Doodlebug always has the cutest and brightest papers around. I just love them. Too stink’n cute!! All of it. I am in love with ALL of the Sprinkles and Doodle-Pops! Can’t wait to create something adorable with them! Wonderful collection. My favorites are the Cardstock Patterned Paper Pack 6x6, the Shocking Chevron Washi tape, and the Black Cat Washi tape. Is everything a good answer? No... I guess the lantern paper might be my favorite followed by the kids in costumes. They are both just so cute! I want the WHOLE collection! Your collections are just so bloody cute! 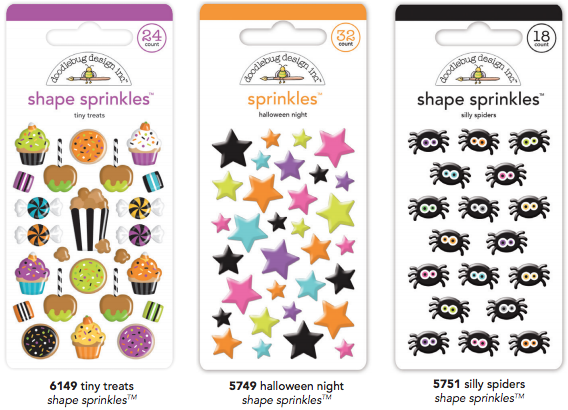 I love so much of this collection- the printed card stock, the card stock stickers, the doodle pops, and the sprinkles. If I had to choose just one favorite it would be the Odds and Ends die-cuts. I know I'm going to by the whole collection, if it doesn't run out (bad thought). 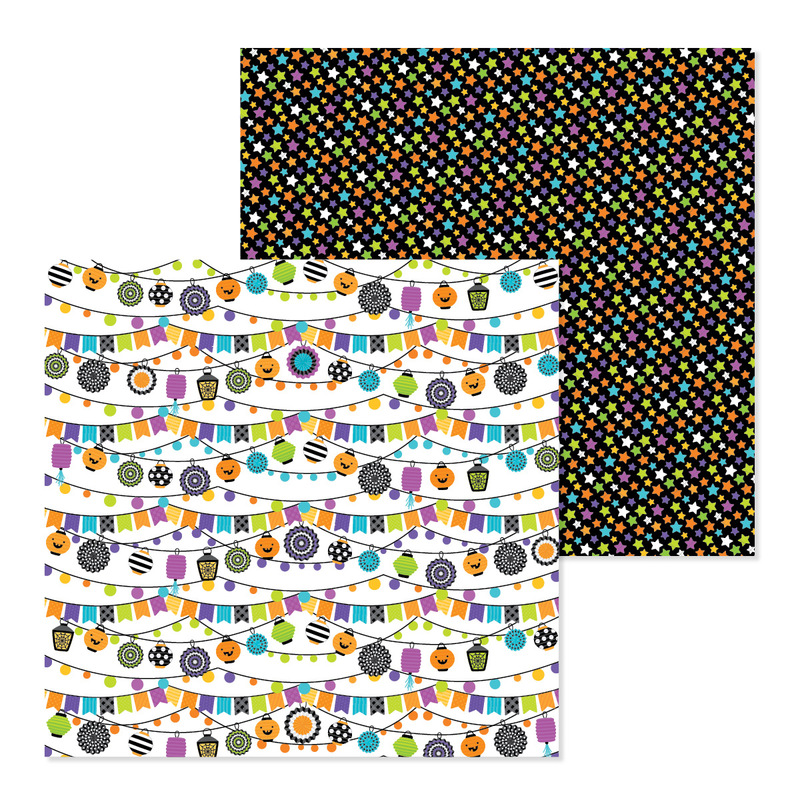 Shape sprinkles and the spider washi tape. But they are all fun! My favorite parts of the collection are the doodle pops. Love the collection and would love to craft with it. Thanks for the chance to win!!! Cute,fun collection! The Eye See You Shape Sprinkles are darling! As always, I love the This & That! I loooove the new pins to add to my collection! There is so much to love about this collection! I for sure love the pattern paper and the odds and ends! Such a cute collection. I love the kiddos in the costumes but my favorites are the papers and the candy corn shape sprinkles. I love it all especially the Stickers with the little kids. 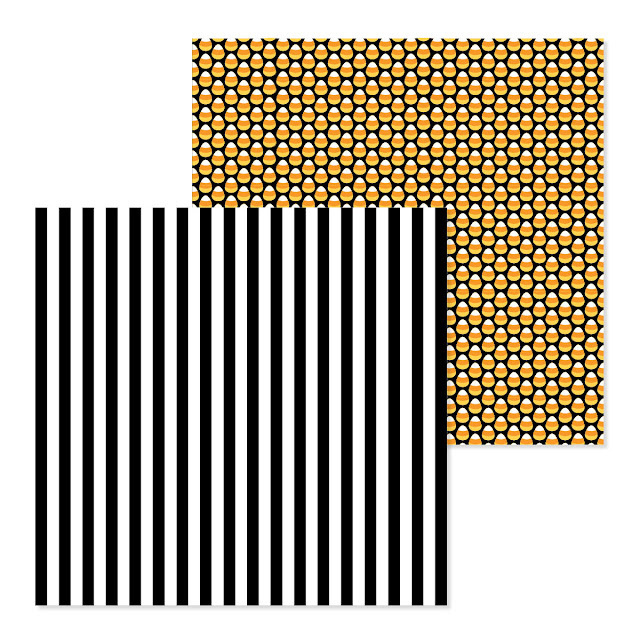 Favorite cardstock is Jack and Friends! Love the trees and houses!! I love the Halloween odd & ends! The cut up papers are so cute and useable!!!!!! Such a cute collection! I love the little trick-or-treaters! Love, love ,love it all Halloween is my very favourite time of the year. Love my Halloween pages just wish it was longer than just one day. If I had to choose my favourite it would be the sprinkles, o the google eyes, wait no the papers....no I can’t choose!! This such a fun collection! My little granddaughter was born on Halloween so we always celebrate with a party. 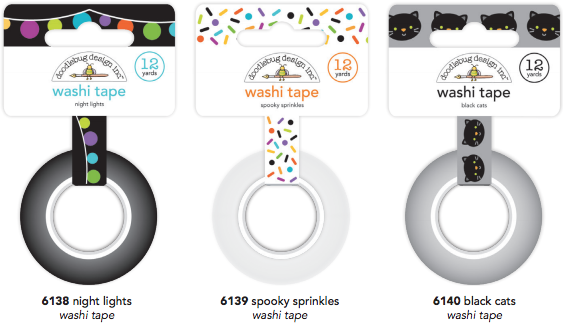 I love the googly eyed sprinkles and Black Cat washi tape! LOVE this collection! 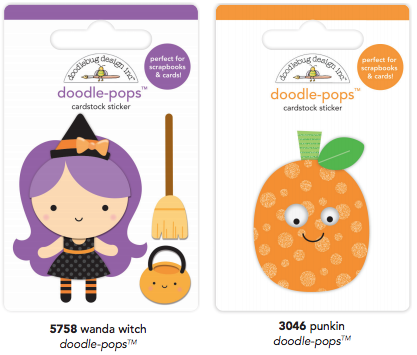 My favorites are the Doodle Pops, specifically the "Punkin"! The nickname my dad called me growing up was "Punkin Doodle"! How fitting! Love it all! No one does Halloween quite like Doodlebug! Doodle-pops are my favorite in every collection! I usually buy some to use and at least one to keep. They are just too cute! They also make awesome treats to include in cards for crafty friends. Hello! I know that it's impossible for me to win because I live in Italy, but I just want to say a big WOW for all your icons and papers!!! It isn't simple to find your products here, there is only one shop, so I propose you to sell maybe the oldest paper in digital format!!! This would be great!!! Thank you and have a great day!!! While I absolutely love your entire collection, the sprinkles are my favorite! They really add that extra pizazz to anything I'm making! omg...what an adorable collection. I absolutely love it all...especially the sprinkles and the doodlepops. Love this collection!! Faves are the 6x6 paper and the Sprinkles! This Halloween collection is so cute!!! I love the Doodle Pops and the Washi tapes!!! Thanks for the chance to win! 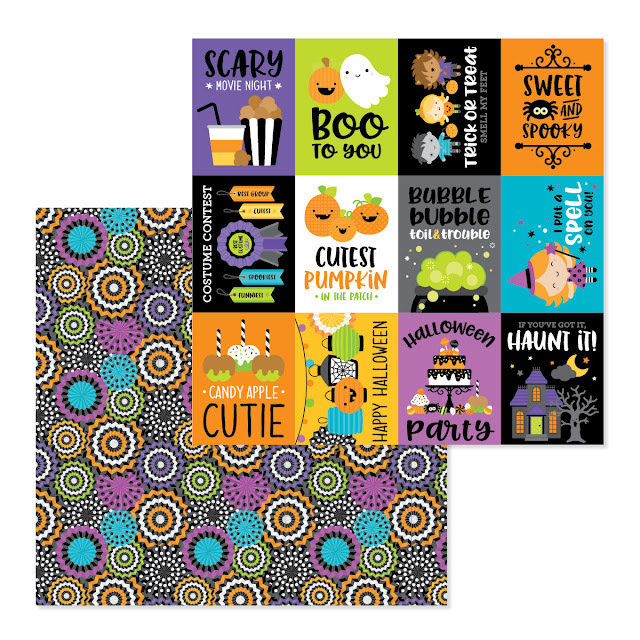 This collection is simply adorable and would be perfect to capture memories of my 4 granddaughters this Halloween!! Love this super cute collection! My favorite items are the Cardstock Patterned Paper Pack 12x12 and the Pumpkin Party Odds & Ends Die-cut Cardstock Pieces. I am in LOVE with this collection. I love Halloween and this collection just makes me smile. Well done!! Can't wait to see it in person. Love the Co-ordinating paper stock. No need to search high and low. Pick ONE? 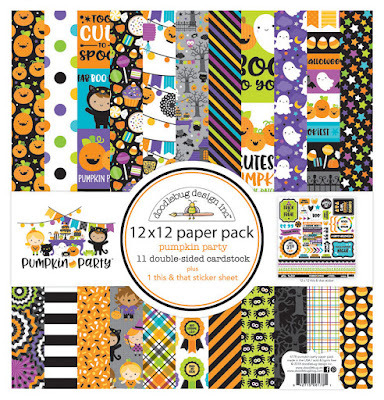 Ok, ahhh the cardstock......no, the pumpkin party paper pack......hmmm odds and ends. Nope, okay this is it GOTTA love all the little kids in costumes! That's it! They sre so stinkin cute! Wow, I don’t even know where to start. I love the sprinkles but have also always really loved the sticker sheets. But now that I use a planner which both of those are good for I also love the odds and ends packs to help decorate my planner. DD paper is always great for my scrapbook layouts. All of it is just too cute to pass up! All of it? I really like the paper clips and creepy crawlies washi tape! Love it all! Like the fun prints on the paper best. I always love the Doodle Pops, and the Shape Sprinkles (especially the candy corn ones) are really cute too. Oh my!!! What adorable and funny collection!!! I love so much the beautiful Pumpkin Party Petite Prints Assortment Paper Pack, Double Sided Patterned Cardstock - Pumpkin Party, all the stickers, the sprinkles and the super cool pins!!! I LOVE this collection. I love Halloween and this collection. Well done!! Can't wait to see it. Halloween is my favorite holiday to decorate for. I love to make Halloween cards and layouts. My favorite of this collection are the sprinkles. 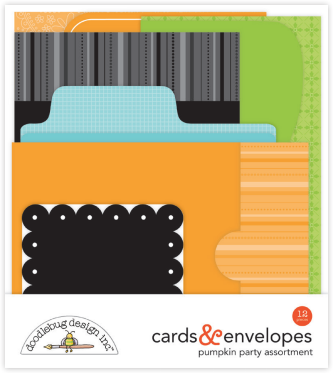 Doodlebug always comes out with such great designs. This one is not a disappointment. I love the little black cat. The doodlepops, the cat pin, and the clothespins are my favourites. I can't narrow it down to just one item, it is all so cute. Thanks for the chance to win! Everything is adorable!!! But the 12 x 12 Pumpkin party paper pack is a must have! Cuteness Overload!!! Love the Jelly Clips! So adorable! I think my favorites have to be the paper and the sprinkles! I love the Icon stickers with the cute kids in costumes. Goodie Goodie Goodie! My favorite time of year; Halloween! Love the colors and playfulness of the layout and the collection! Love all of it especially the odds and ends packs. Thanks for designing such cute stuff! I love it all as usual but those cute little people are something else!! Then there's the plaid paper, the jelly clips,.......!!!! You guys always outdo yourselves!! Thank you,thank you, thank you!!!! 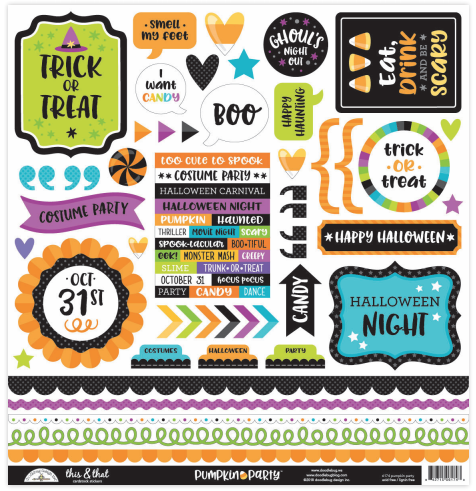 Doodlebug Halloween images are my absolute favorite!! I will definitely be getting the 12x12 and 6x6 paper pads!! MUST HAVE! Favorite? That's nearly impossible, as Halloween is a favorite holiday and your Halloween lines go along with that. If I have to pick one thing, I'll go with the diecuts; all those adorable graphics and little characters! I love the eyeball sprinkles! They made me laugh. Thanks for the opportunity to win. I love it all! But if I had to pick then the jelly clips and the chit chat titles. Thanks for the opportunity to win! I love the shape sprinkles and mini clothespins!! Wow~ what a lovely collection. Awesome overloaded...I simply love those cute jelly clips. OMG Doodlebug stop making such cute releases you’re getting me in trouble lol, I love the 6x6 pads so I can make my cards. Love the lanterns and banners! Also the Odds and Ends and pins are just way too cute! Can’t wait for this collection to start creating!! I love the 6x6 paper pad and the odds and ends. I make a ton of cards with these to donate. Love what you all do, thanks for keeping me positive! Love, Love, Love it all especially the jelly clips, the cute clips, the die-cuts and the sprinkles! 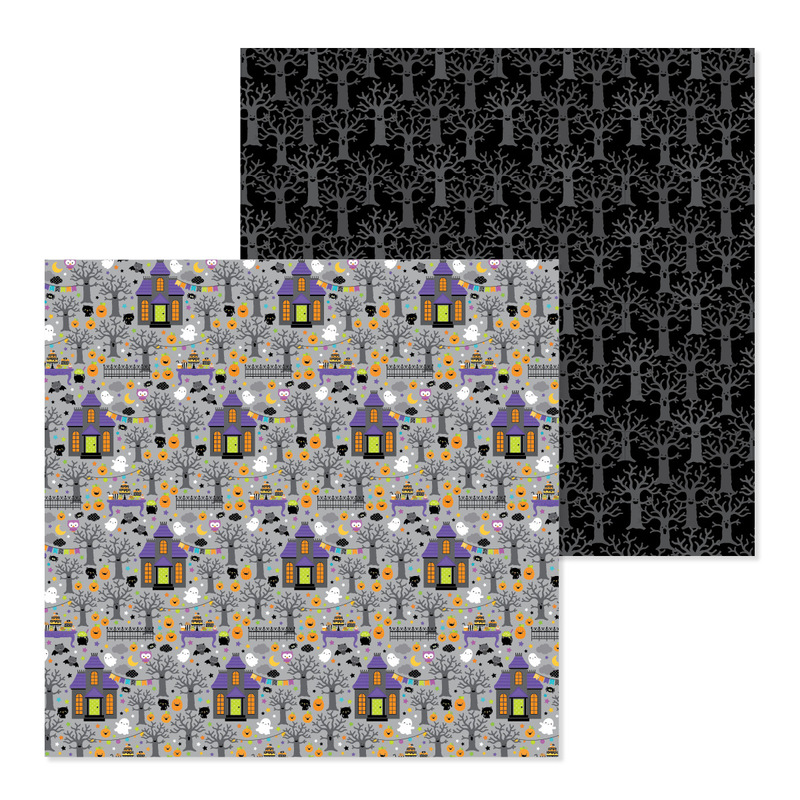 Always LOVE the paper especially midnight masquerade and party pinwheels and spook alley! Love, Love, Love it all especially the jelly clips, the cute clips, the sprinkles and all the die cuts with the paper! Your paper designs are the best. Love Midnight Masquerade! I love this collection, so cute! My favourite is probably the tiny treats sprinkles and the black cat washi. But who could choose! OMGEEE!! I love the patterned paper, the Pumpkin Party Chit Chat Die-cut Cardstock Pieces, stickers, collectible pins, and all of it really. 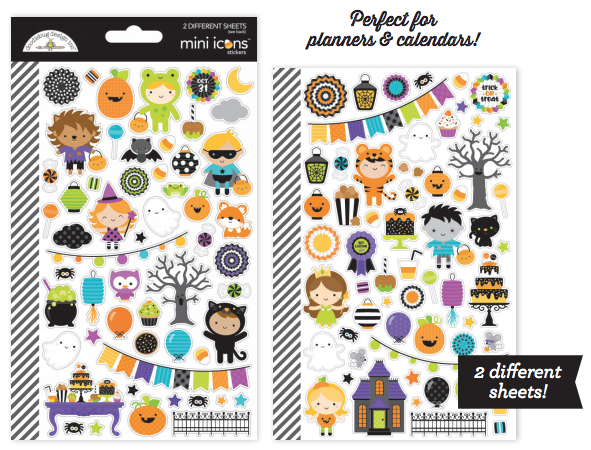 Just an adorable collection for fabulously spooky halloween layouts and special October birthday cards for special friends and family. It's an amazing collection!! But i have to say that I LOOOOVE the cute ghost.. 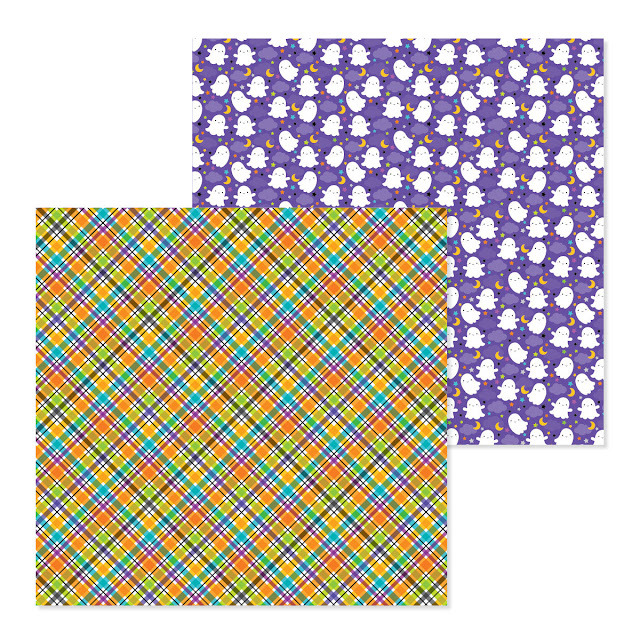 I"m in LOVE with the whole collection... but I really think the Itsy Bitsy Spider paper is the cutest thing ever! I love the entire collection! Halloween stuff is so cute. :) I think my favorite is the papers though. ADORABLE! Love everything in this collection. 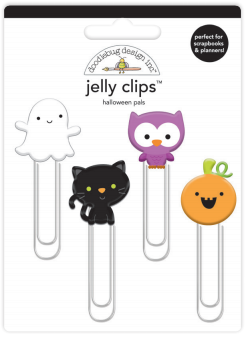 Cute jelly paperclips. Oh my stars! I adore your new Halloween line, especially as I make upwards of 60 Halloween 'somethings' (tags, mini cards) for my niece and nephew's classmates. This release would cover all the bases! So much cuteness; so much versatility! A favourite (talk about a challenge to choose! ): the papers...and the Itsy Bitsy Spiders...oh, and the paper clips...As you can see, love it allllll! 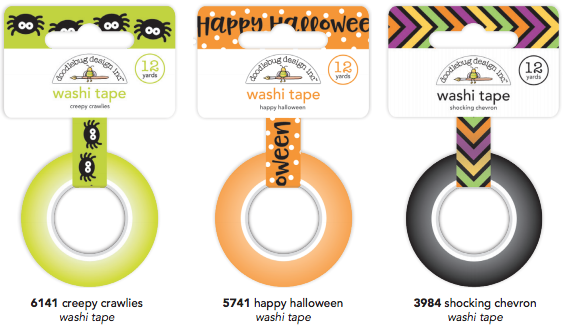 Such a darling halloween collection! You did it again! 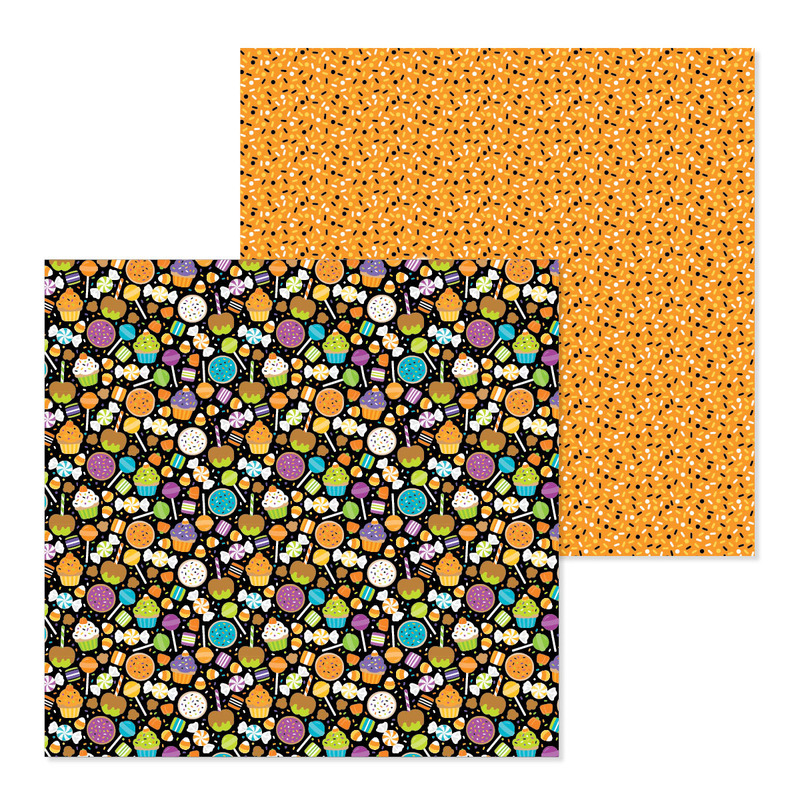 I'm in love with the Double sided patterned cardstock - Fun house and the eye see you shape sprinkles! You guys never disappoint me with! Love!! In love!!! I love Halloween because that's the birthday month of my daughter so we always throw her Halloween theme for her Boo-thday. I do not know how you guys manage it but you always outdo yourself with the next collection you create. Beautiful vibrant colors and fun designs. My grandkids love to do crafts with me and are always excited for my orders to arrive. My granddaughter loves all things doodlebug. Thanks again. The best thing about Doodlebug is you have a fave, then 5 seconds later you go "ooh that's even cuter!" and 5 seconds later "Oh oh I love that one more! "..and on it goes hehe. I squeed when I saw the Cute Kitty doodle-pop :D But it's hard to choose between that and the Midnight pin and those bootiful Jelly Clips. Oooohhhhh it's so hard to pick one thing. I think the paper packs are my favorite! 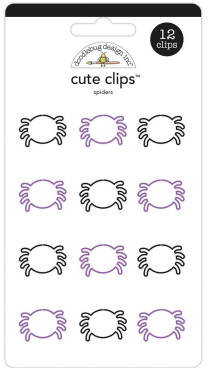 Followed by the cute spiders! Oh my goodness!! This is exactly what I've been looking for to decorate my Travelers Notebook for October! I'm in love with cute kitty and wanda witch doodle-pops! !